October | 2015 | Mediascope, Inc.
For some companies, Live Chat is an instrumental channel in client communication. 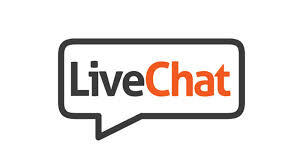 We have devoted a couple of weeks to the topic of Live Chat and explored Is Live Chat a good option? and 7 Tips for Implementing Live Chat. 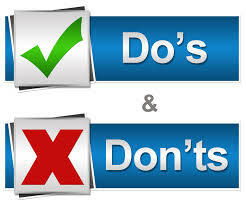 As one final piece, here are a few dos and don’ts to keep in mind when implementing Live Chat. Do indicate the times when you are available. Are your live chat reps only available during certain business hours? Be sure to state that on the chat box. Don’t approach customers with a live chat box the instant they click on your site. Give your shoppers time to click on a few things before asking them if they need assistance. The practice of instantly chatting a site visitor is as annoying as a sales person pestering you in a brick-and-mortar store when you step through the door. Do personalize your encounters. Consider personalizing by sending chat messages based on shoppers’ behavior on your site. For instance, if you see that a shopper is spending time in the women’s shoes area, send a chat message offering help with finding the right pair of shoes. Don’t creep out your customers. You’ll be able to see a lot of information about your site visitors such as where they’re located. However, you should not use all the information when chatting with visitors because it might cause them to feel uncomfortable. Do run some tests. As effective as live chat is, don’t implement it without testing. Before entering a long-term agreement with a chat provider, test a live chat app for a couple of months and observe its effect on your conversion rate. If you decide to keep it on your site, then you may also want to test the details associated with it, such as your welcome messages, the amount of time before the chat box appears, or the appearance and behavior of the chat window. This helps you optimize your live chat application for maximum conversions, engagement, and personalization. Do make sure customers aren’t left waiting. This is very annoying for a website visitor, much like waiting around to be served in a store. Do make sure people who handle the live chats are able to solve customer’s problems most of the time. It’s not like a support ticket, people are there waiting live and it’s frustrating to be told every time that you need to log a ticket. Do maintain the mindset that Live Chat is an opportunity. Every time a customer starts a chat with you, it’s a great opportunity to learn more about their needs and how they use the product. Make sure your operators can manage this well. Do consider using scripted responses if the same questions are asked often, but be sure to personalize the response when appropriate. Only you know whether implementing Live Chat makes sense for your business. If you’re not sure, try a six-month trial to see if key metrics such as customer satisfaction or conversion rates improve. However, be sure to follow important tips such as letting your customers know you offer Live Chat and adequately staffing your Live Chat function. With messaging now outpacing phone calls, Live Chat is an important communications tool for any company which deals with the public via the internet. Last week, we talked about the pros and cons of using Live Chat as one of your communication channels. If you decide to add Live Chat to your web site, you need to know where you are heading before you leap into this mode of client communication. Here are a few considerations that will help you successfully implement this new channel. This may sound like a basic tip, but it’s important to have a plan — not just for which issues you want to handle via chat, but also for how you will begin to staff this new communication channel. Based on customer needs, determine what hours and days your chat option will be available. Also, know that it’s unrealistic to expect everyone to adopt the channel right away. Setting milestone targets will help you evaluate your progress and identify any issues or challenges that might be hindering more widespread adoption. All the planning you do is irrelevant if you don’t let your customers know about the program. There are a number of ways you can promote the new channel, but one of the most critical is publicizing Live Chat as an addition to your existing means of customer support. For example, you might have an automated recording directing callers to the Live Chat link when waiting for support by phone. Addressing support requests via chat is different from other models as it enables reps to handle multiple sessions simultaneously. Make sure your reps are comfortable with multi-tasking and are familiar with the program’s capabilities before you launch Live Chat. It’s essential to spend sufficient time training your staff — and hiring additional reps if needed — to make the program a success. Be sure everyone understands the expectations, including response time. One of the benefits of live chat is the perception of immediate support. If users are unable to get through or have to wait a significant amount of time, they will already be disenchanted before defaulting to another channel. When preparing to launch a chat program, make sure you’re properly staffed to keep wait times to a minimum. Have a process in place so the support team can quickly get additional help if needed. As reps are becoming familiar with handling multiple sessions at the same time, having scripts for frequently asked questions are a valuable tool in getting them up to speed quickly. While scripts have many benefits, however, it’s important not to lose the personal elements of phone support when you begin live chat. Support reps should modify scripts to add personalization and address exact concerns. They should also be sure to pay careful attention to what the user is saying before offering an answer. Mobility is a key driver of today’s changing customers support needs. Making it easy for users to initiate a chat session from any device will ensure greater adoption. Feedback is extremely useful in improving your program. Institute a survey at the end of every session to obtain details about the individual’s experience and use the information to make improvements and further hone the program. In addition to polling the user community, be sure to connect with your staff about their experiences. As the frontline reps utilizing the program, they can provide valuable insight into how to improve Live Chat and help identify other issues that could be handled via the chat program. We will take one more look at Live Chat next week by reviewing some of the Dos and Don’ts of this type of customer support. Is Live Chat a good option? As technology changes, the way we interact with customers also changes. More consumers are skipping traditional forms of customer service like phone and email, and opting for channels like Live Chat due to the faster, more personalized nature of the communication. Live Chat is software that sits on your website, allowing you to have an online conversation similar to Instant Messenger with anyone who is on your site. While Live Chat can often be a wonderful addition for businesses, it can cause its own problems and complications, both technical and otherwise. Here are the pros and cons of Live Chat. You are immediately accessible to your customer. Being online when your customer is online means a chat can happen instantaneously. With most Live Chat software, there will be a clear indication to your site’s visitor that you are currently online and are available to interact with them. You can start the conversation. Many Live Chat programs allow you to see who is visiting your site, and you can choose to invite them into a conversation via a targeted pop-up message. This means you are not being passive and waiting for people to come to you. If you see that someone has been navigating around your website for a period of time, this is the perfect tool to use to engage with them and help secure business. It shows you are a modern, dynamic, and proactive company. Having Live Chat functionality on your site signifies that you are a progressive organization that uses advanced online techniques to build business. It reduces the amount of back and forth of email. Conversing in real time circumvents the usual ping-pong exchange of e-mails that often results when both parties are trying to get a clearer understanding of the product or service. It is personal and accessible. Live Chat enables companies to be personal and accessible by having real-time conversations with customers. Furthermore, being easily available to your customers is a great way to be more transparent. The personal tone and ease of use that Live Chat gives your company can go a long way to make your company likable. Live Chat reduces an overload on other forms of communication. Having Live Chat available leaves other forms of customer service such as phone and email open for larger issues. People will be less likely to call or email about small questions and concerns if they have live chat as an outlet. Additionally, Live Chat fits the digital world which means many of your customers, especially younger customers, will feel more comfortable and familiar with live chat than other sources of communication. • Customer service quality can easily be reviewed by checking the log files. It can create an impression that your business is 24/7. We no longer live in a world where customers live nearby or work on a 9 to 5 schedule. As a result, it is often not enough to be available only during those hours. Try to split up the duty of answering chats to cover as much of the day as possible. When Live Chat is not staffed, have other forms of communication available, such as a Contact Us form. To make the most of Live Chat software, it has to be staffed. Staffing is a cost to your business that needs to be covered. This is why Live Chat software is more broadly embraced by larger companies with a dedicated customer support team. If you are running Live Chat in the background while performing other tasks, you run the risk of having your thoughts disrupted when messages comes through. This can ultimately mean that it takes longer to do the work you were originally doing. It can present communication difficulties. It can be difficult to convey emotions and tone over chat. Currently, the only solution is to use emoticons, which are taboo in the professional world. You need to be careful with your phrasing to ensure your words are not misinterpreted. • It can slow down your website. Those are the arguments for and against Live Chat. Although it has a lot of advantages, it isn’t for everyone. Give these pros and cons some thought before deciding whether Live Chat is right for your business. Are you ready for the Holiday shipping season? It will be here sooner than you think. Last year’s information shows that while over 50 percent of holiday purchases are made early, many consumers continue to purchase and ship holiday gifts right up until the last moment. If you ship products to your customers, or are in the fulfillment business where you ship to your customers’ customers, here are some dates you need to know. FedEx Shipping Deadline Within the U.S. Shipping deadlines for packages headed to Puerto Rico, Canada, Mexico and other international destinations vary. See FedEx’s Last Days to Ship site for more information. UPS Shipping Deadlines Within the U.S.
For international shipping deadlines and other holiday-related information, click here. U.S. Postal Service Deadlines Within the U.S. 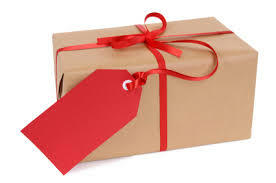 The deadline for shipping packages internationally varies based on the destination. In some cases, the deadlines are as soon as Dec. 2. Don’t take a chance on disappointing your customers. Let them know now about critical shipping dates. Keep in mind, too, that those people in the part of the country lucky enough to experience winter in the form of snow and ice should build extra days into shipping schedules. Winter storms can create havoc with even the most dedicated of shippers. No one writes perfectly all of the time. Writing well takes skill, but writing great marketing copy requires an even higher level of skill plus knowledge of your audience, brand, and marketing voice. Here are five tips to help you produce great content every time. The biggest mistake marketing writers make is to write for themselves and not for their audience. To write great copy, you need to convince readers that your products or services meet their needs. As callous as it sound, readers don’t care what something means to you; they are only interested in what it will do for them. The goal of marketing copy is to convince the reader that your products or services will meet their needs. Different audiences have different needs and respond to different messages. Understand who you are marketing to and what their needs are. The more you understand your audience, the more relevant your copy will be. To be effective, all of your content needs to have the same “voice.” The message is as much about how you say something as what you say. Be consistent in your choice of words and phrases, and make sure you are writing content that is appropriate for your target audience. Your voice is part of your brand, and should be consistent across all marketing channels. What is your objective for this marketing piece? Rather than cramming several competing messages into one piece, identify one thing you hope to accomplish and write content towards achieving that goal. A clear, focused message will elicit a better response. You’ve provided your readers with a clear message demonstrating not only what your product or service will do for them, but a feel for your company. Now what do you want them to do with that information? Provide a call to action to make it easy for them to respond to your message. Invite them to call, register, or buy, and make it easy for them to do so! Make sure to provide phone numbers, online forms, shopping carts and other forms of customer engagement. Although this should go without saying, don’t underestimate the importance of the mechanics of writing. Not only will good grammar and spelling help your audience understand your message, but well-constructed pieces will reflect positively on you and your company. Spelling mistakes and poor grammar scream sloppiness and poor quality, and no one wants to work with a company which doesn’t care about quality. Spell-check is a great tool, but it doesn’t catch everything. I once worked for a state-wide legal printing division. The word “public” was often used in court documents. Although spell-check accepts the word “public” without the “l,” the resulting word, pubic, caused more than one embarrassing misprint. An old proofreading trick is to read your content out loud. Does the content flow well? Are there extra words which don’t belong? Are you missing words? Another trick is to have someone else read your copy. He or she will often catch things you miss. 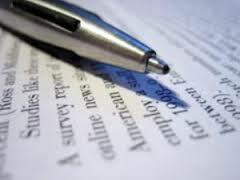 To recap, the value of quality writing for your marketing materials should not be downplayed. Poor writing is expensive both in terms of time and money. If your audience doesn’t understand the message or, worse, is turned off by poor grammar and sentence structure, you won’t see the desired return on your investment. And if something is wrong, you may need to do a costly reprint.